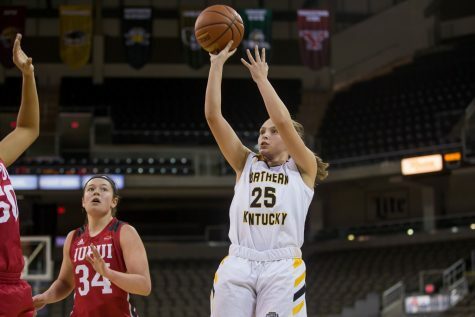 NKU women's basketball team wins against IUPUI Thursday evening, 60-57 at BB&T Arena. Norse move to 5-5 in Horizon League play and 6-14 overall. IUPUI now sits at 7-3 in the conference and 13-8 on the season.